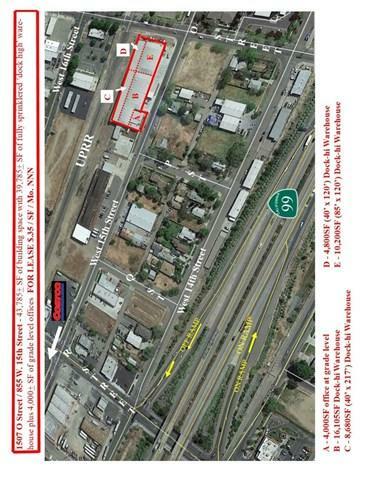 43,785 SF bldg FOR LEASE at $.35/SF / month NNN. Dock high steel reinforced concrete block building with 39,785 Sf of warhouse that is dock high + 4,000 SF office / sales area that is at grade level. 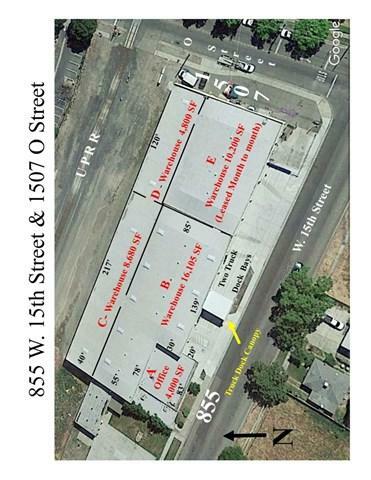 Building is divided into 5 separate spaces as follows: A) 4,000 SF office (grade level) at southwest end of bldg. 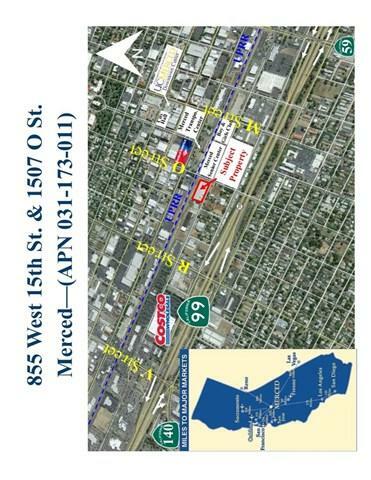 ; B) 16,105 SF warehouse (dock high); C) 8,680 SF warehouse (dock high); D) 4,800 SF warehouse (dock high); & E 10,200 SF warehouse (dock high) which includes an 800 m/l SF office. New roof just put on bldg. (Fall '18) and all but the 4,000 SF grade level offices are spinklered. 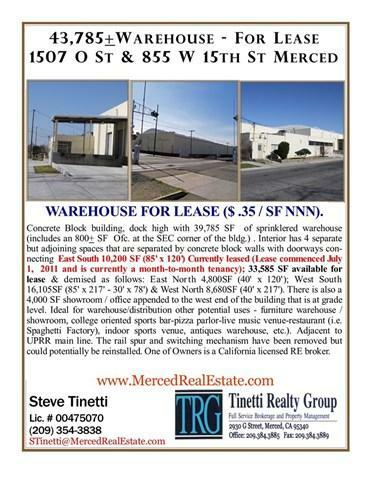 Currently Space E (10,200 SF) is occupied on MTM basis. Landlord also owns a 150' x 150' unimproved lot across street from this property (SWC of 15th and O Street) that could be made available should tenant need additional parking. Located adjacent to the UPRR nc could possibly have a rail spur (teant to have installed). Zoned C-G (General Commercial) & idela for warehoue/distribution but could be a furniture or antiques warehouse / showroom or possibly a college orientated sportsbar-pizza bar- billiards room and restaurant.